An update for the Nest thermostat is bringing new views for the Farsight feature, which is the information a Nest displays when it senses someone from across a room. 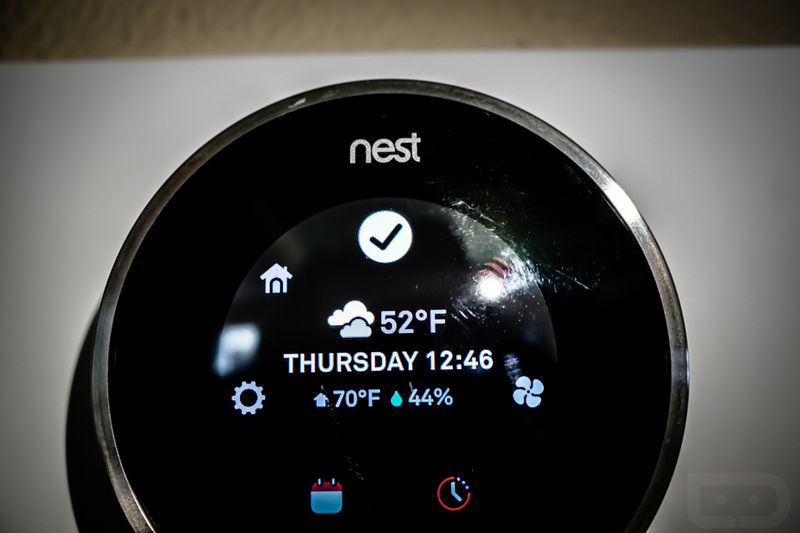 Essentially, it’s bigger text that allows you to view the target temperature that the thermostat is set to. According to Nest, while many folks enjoy Farsight as it is, they want to switch it up a tad to offer more information people have requested. Once updated, Farsight can display a room’s current temperature, not just the target temperature that is set. Nest also added in an animated weather screen for the meteorology fans, including a look at outside temperatures throughout the day. To enable these new features, head into your Display Settings menu on the thermostat and choose the view you want for Farsight. Lastly, Nest has also improved the Energy History views on the thermostat itself. With this updated, the views look more like what you see inside of the Nest application. The new software is rolling out to all owners right now.